Paintspotter, noun, definition: like a trainspotter but for people who look for street art and graffiti (a portmanteau word coined by Fletcher “Facter” Anderson, editor of Invurt). I’ve recently returned from travelling in Canada, New York and Boston. When I visit other cities I am a stranger trying to get to know the place, finding the hidden places where street artists and graffiti writers like to work is even more challenging. I try to find a street art tour or a local who knows the scene but often this is not possible. I probably am not seeing the best locations for street art in these cities. Street art is such an insider’s game and that makes it difficult for a tourist to play. In this respect sticker art is the travelling paintspotter’s friend because it gives you a sample of local street art conveniently located on the backs of signs. 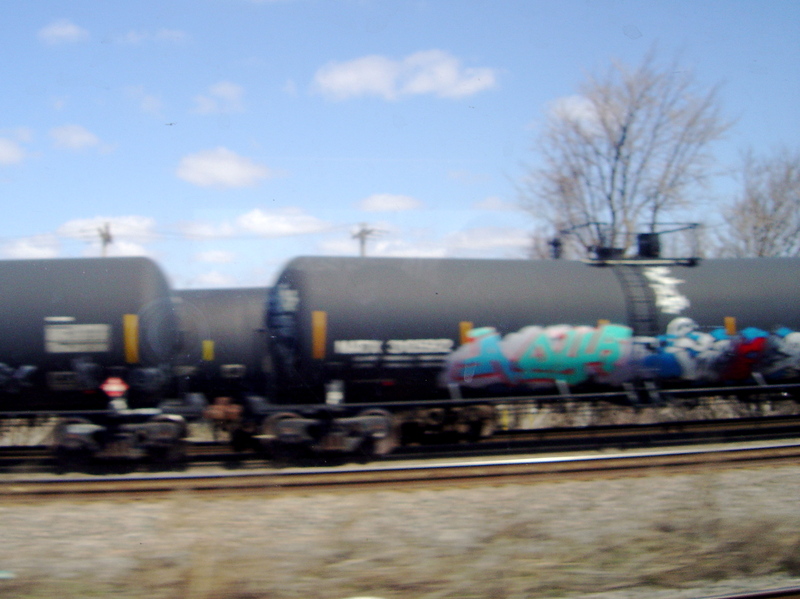 The way to see lots of graffiti is to travel by train. 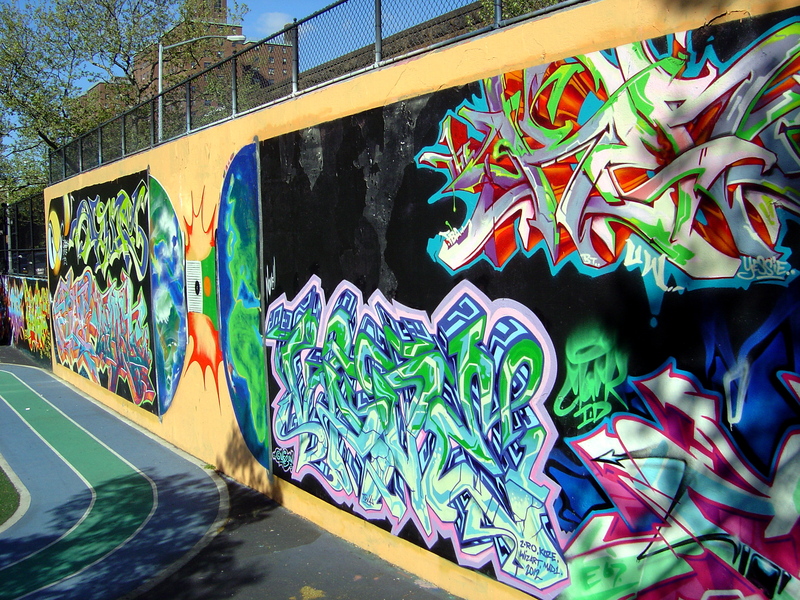 It is not a good way to photograph graffiti but it is a good way to see a lot (respect to all the Bridgeport writers). I did to train trips from Ottawa and Montréal and from NYC to Boston. 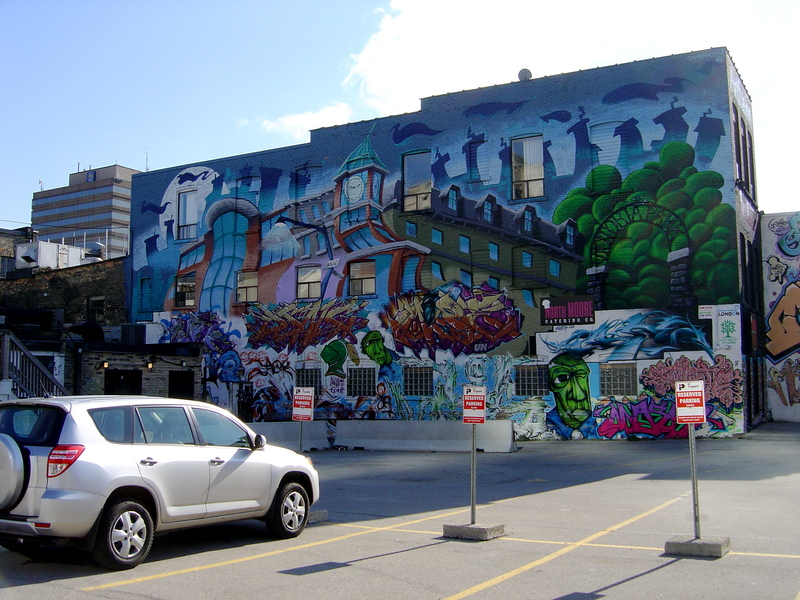 The best graffiti that I saw in Canada was in Montréal’s plateau district; there were also a couple of impressive walls in London Ontario. Of the notorious or famous artist whose work I saw Revok up high up in Montréal, Neckface high up in NYC’s Bowery, Shepard Fairey in the Bowery and a piece by Kenny Scharf in Chelsea – Scharf had an exhibition in a gallery just across the road but it was shut so I could only see it through the large windows. 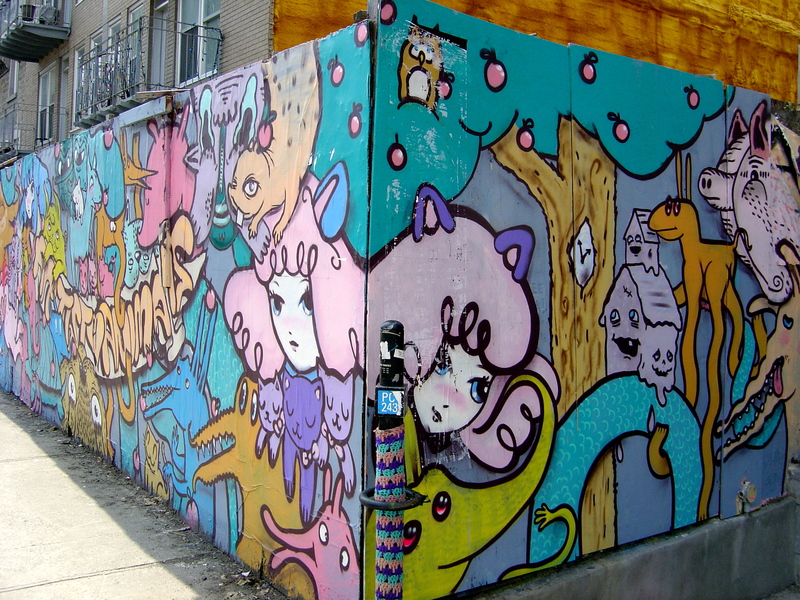 Another way to find graffiti is to track down the art galleries and there will often be some street art and graffiti in the area. 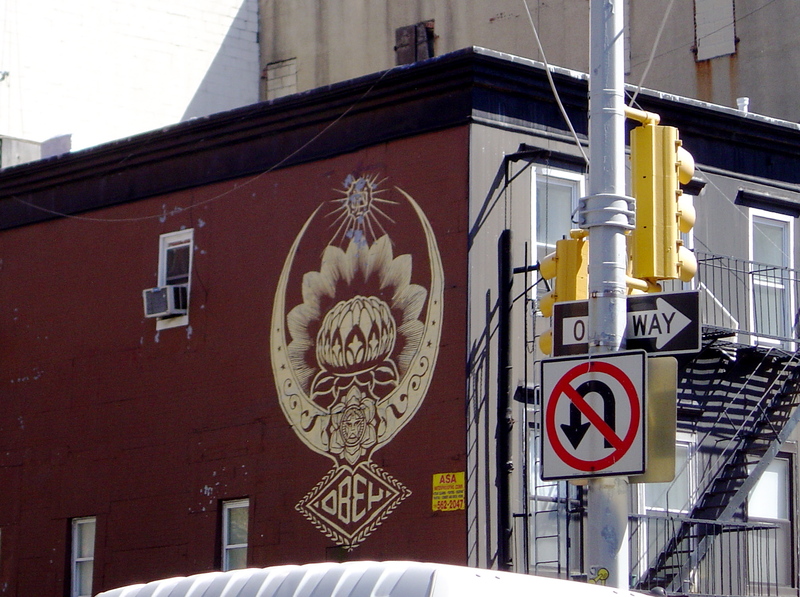 This rule proved true for NYC’s Dumbo district where I saw some of the best street art that I saw in NYC. I didn’t any further into Brooklyn but there was so so many things other that I wanted to see and do in NYC. 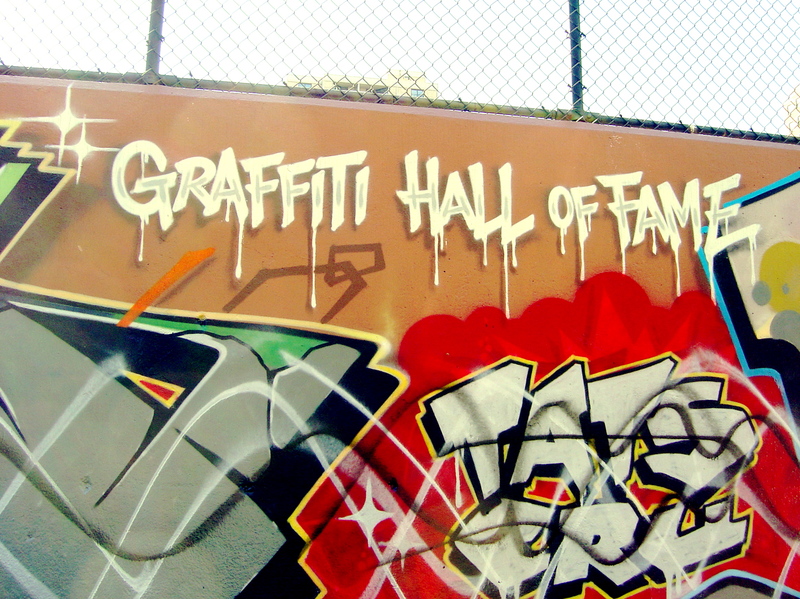 In Lonely Planet I read about the “Graffiti Hall of Fame”, a wall in NYC but when I got there it was small and capped. The other side of the wall was in better condition but less accessible. 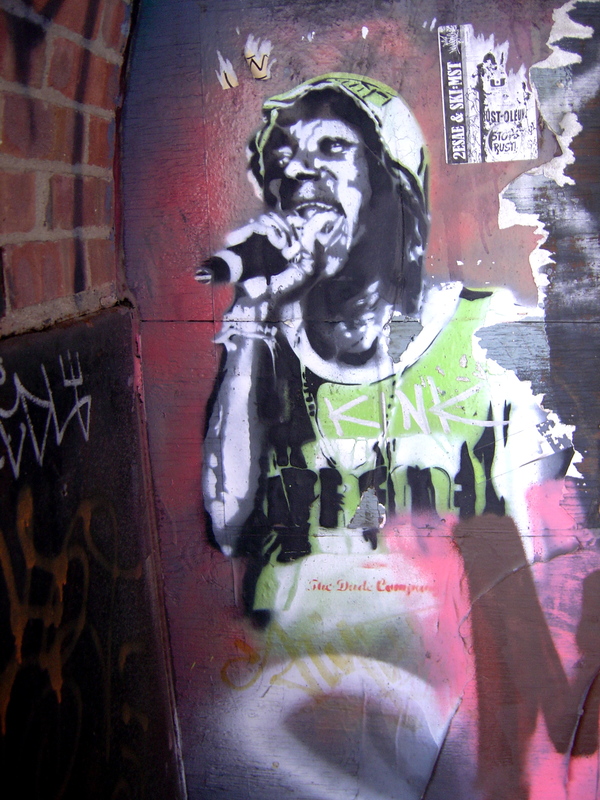 So there was I standing on the corner of this street in Harlem asking people passing by if they knew of any other good graffiti locations – New York is a very friendly city but nobody knew of any good walls. 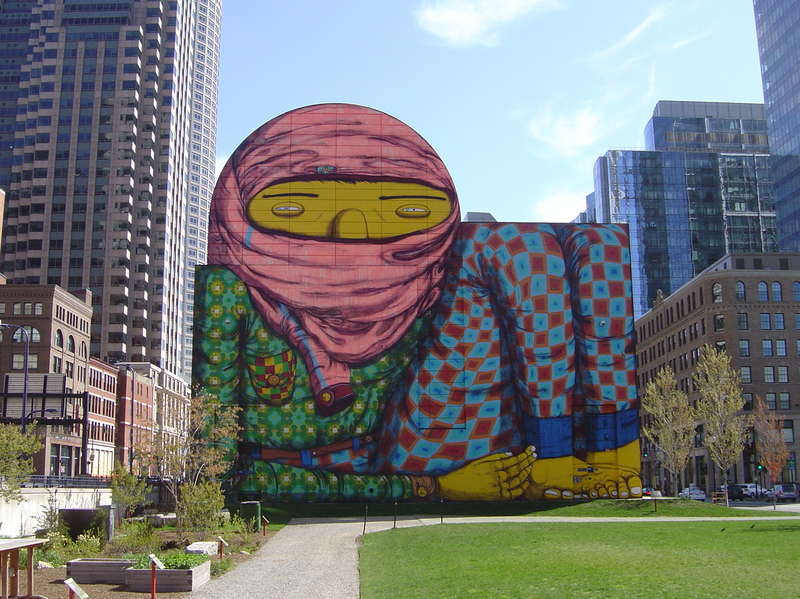 I was just lucky in Boston on the way to the Barry McGee exhibition (see my post) I left the T station and right in front of me is this great wall by Os Gêmeos. 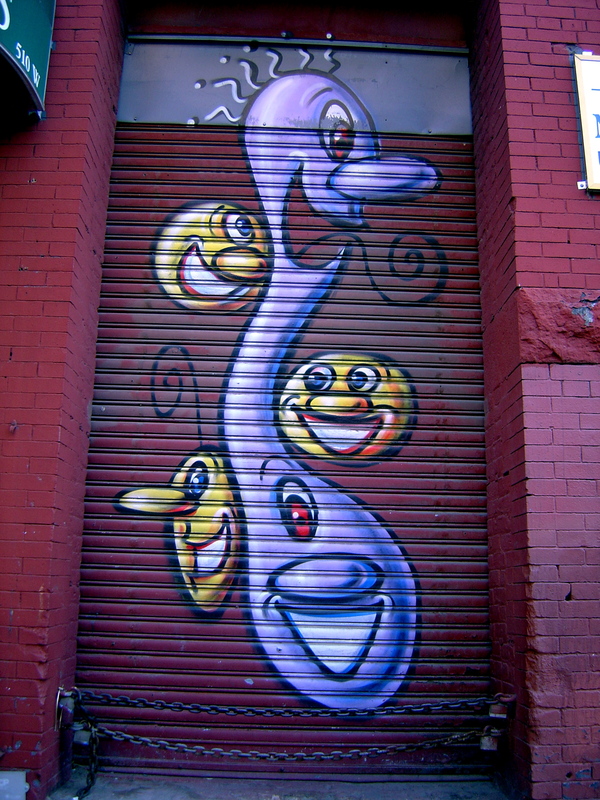 This entry was posted on Tuesday, May 14th, 2013 at 10:19 AM	and tagged with Boston, Canada, Kenny Scharf, Montreal, New York, Os Gêmeos, Revok, Shepard Fairy and posted in Street Art, Travel. You can follow any responses to this entry through the RSS 2.0 feed.